It feels like no time at all since X-Men: Days of Future Past came out. That may have been 2014, but maybe it’s just the regularity mixed with the franchise’s hit-and-miss standards that has us all less excited with every entry into the X-Universe. 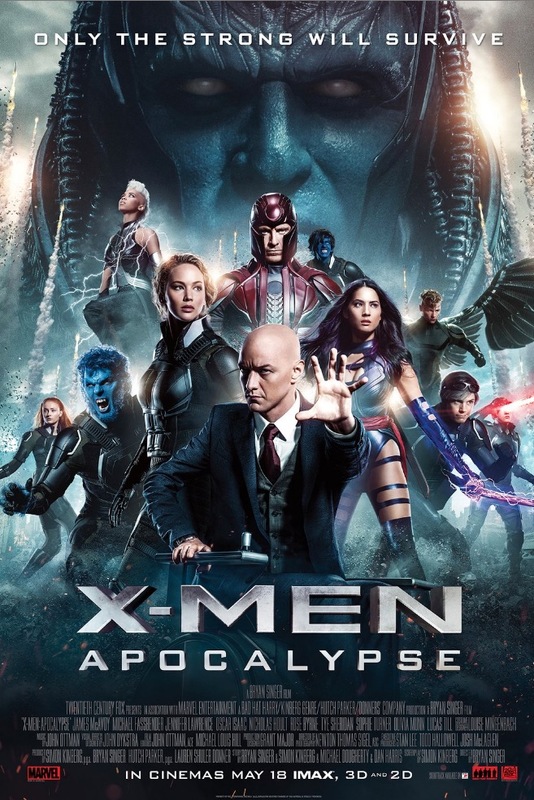 Now it is the time of X-Men: Apocalypse, and in a bit of a surprise, it lands more good punches than bad. In a rather excellent opening sequence – almost rivalling X-2’s Nightcrawler White House scene – we find out all we need to know about the ancient evil of Apocalypse, and why no one has ever mentioned him until now. And the setup is all there; we find out what’s been happening with Xavier, Magneto, Mystique; all of them having gone their separate ways, with once again Michael Fassbender’s Erik Lehnsherr standing out, despite his reduced screen time to First Class and DoFP. We also get a wave of brand new mutants, good and bad. It’s interesting to have Storm be swayed into the position of one of Apocalypse’s four horsemen so easily, and to turn Archangel into that form so quick – it’s nicely tied into Nightcrawler’s intro as well, who is captured perfectly by Kodi Smit-McPhee. It’s also genuinely nice to see the relationship between Scott Summers and Jean Grey begin to grow. Sophie Turner isn’t her usual one-dimensional self from Game of Thrones, and her development into the film’s finale hints at very interesting things to come. If there’s a complaint about the massive ensemble cast it’s that some of the character building feels slimmed down at times, or the need to include one thing means that another scene is awkwardly wedged in instead of being removed completely. Much like Batman v Superman, the odd scene feels taped on in a last minute rush, but nowhere nearly as severely as in Dawn of Justice. A lot has been said about Jennifer Lawrence being pushed to the forefront of the franchise. After all, Mystique in the comics is a very different creature indeed. I disagree with the extreme lack of blue skinned Mystique that we see in the film (you’ve probably seen it all in the trailer, in fact) and it smells a little bit too much like an actress putting her foot down. She may not be as rushed to cash the pay checks for this as she was in The Hunger Games, but if she’s meant to be leading this movie it would be nice of her to do more. Anyway, the action is big. There are some glorious scenes, including an incredible Quicksilver sequence – it easily tops the one in DoFP, and is one of the most impressive “look at what this mutant can do” sequences we’ve ever seen in an X-Men movie. The final fight has a great feel to it as well, showing off just what mutants like Psylocke (though criminally underused at other times) and Beast (the best the makeup has ever looked) can do. Is it as good as Captain America: Civil War? No. That film set a new standard in how we tell superhero stories on the big screen. Is it better than Batman v Superman? Yes. It’s a much stronger story, and although it has some issues spinning all its plates at once at least you aren’t left looking at a pile of your granny’s broken China by the end. 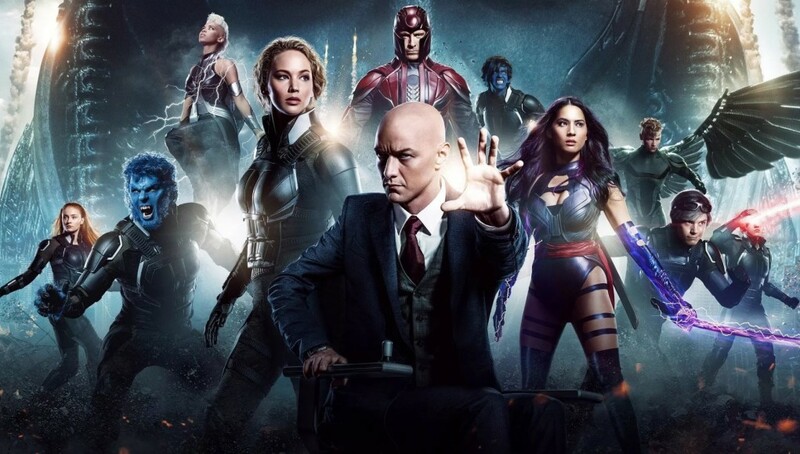 The little tease after the credits suggests that much more is to come, especially in regards to one or two of the recast mutants, so as a franchise there’s still plenty of room to grow. Maybe it just needs a new gardener for a while.